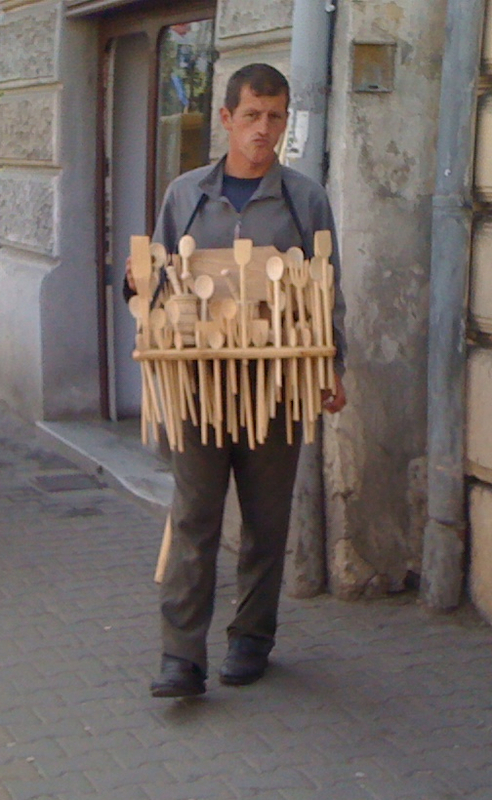 Every capital city has its secrets, but Bucharest has a couple of unusual ones. One of them is this monument, currently located in the downtown Cismigiu Park. To understand why it’s there, we have to go back to the dark days of World War 2. As I’ve written about before, one of the strangest bits of historical trivia is that Romania is the last country that the United States formally declared war upon. In 1943, Romania was still a staunch ally of Nazi Germany despite having been ordered by Hitler to cede Northern Transylvania to Hungary. At the time, however, it must’ve seemed like a fair trade as Romania had made incursions into Bessarabia, the Budjak Peninsula, and Odessa. 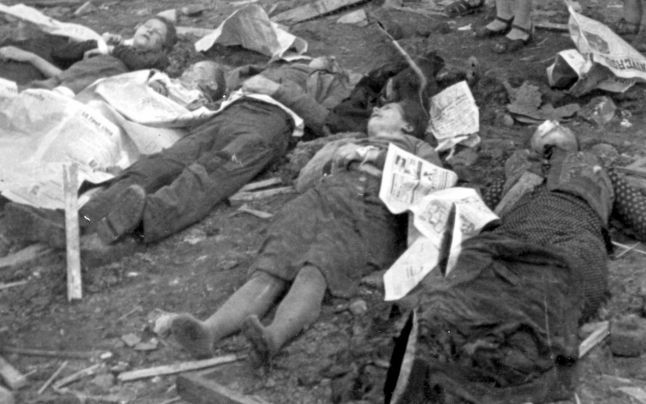 Beginning in August 1943, the United States began bombing Ploiesti, primarily targeting petroleum refineries and oil storage facilities. Despite the use of heavy B-24 “Liberator” bombers, the Nazis had Ploiesti well-defended with anti-aircraft guns and a squadron of fighter planes, including a few of them operated by Romanians. As such, the operation largely failed as the Americans lost 53 aircraft and 440 airmen, with an additional 220 pilots captured or missing. On the ground, 16 people were killed and 50 were injured. 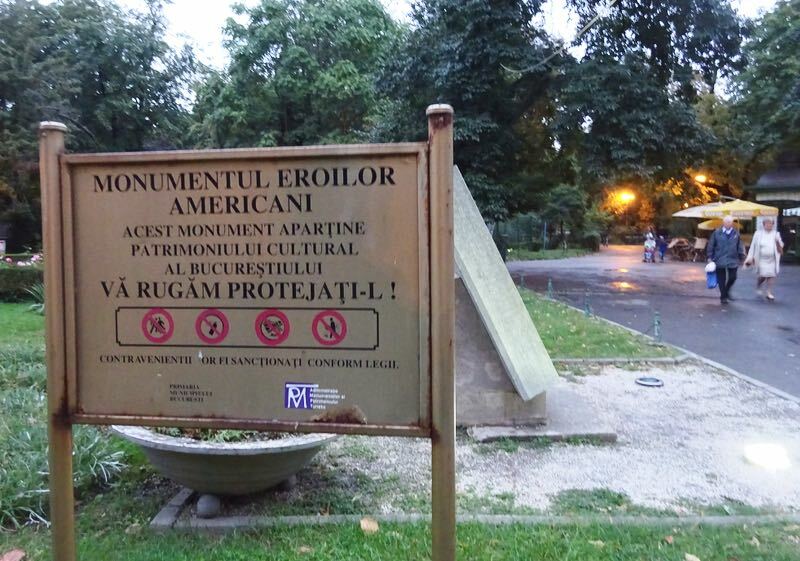 Despite this, the Americans decided to honor their defeat with a monument officially called the “Monument of the American Heroes” or Monumentul Eroilor Americani in Romanian. It was carved in 1999 by Romanian artist Remus Claudiu Botar and officially unveiled in 2002. Originally, it was located in the “Ferdinand 1” military museum in Bucharest, but it now sits in Cismigiu Park. But that’s not the only monument glorifying the American attacks on Romania to be found in Bucharest. This one is in Kiseleff Park, and I had difficulty finding a clearer picture, which is why I’m using this Instagram post. As you can see, an American tourist was surprised to note that there are three different monuments dedicated to Americans in Kiseleff Park, the other two paying tribute to Michael Jackson (the singer) and Mark Twain (the author) respectively. But why is there a second monument to American soldiers in Bucharest? I tracked down a PDF detailing the dedication ceremony in 2007. The monument was paid for and commissioned by the Ancient and Honorable Artillery Company of Massachusetts. At the unveiling was the American ambassador to the United States, Nicholas Taubman. You can read what he said (in Romanian) here. In 2009, there was a second ceremony, this time involving Viorel Oancea, then a senior official in the Romanian Defense Ministry, and Jeri Guthrie-Corn, the acting American ambassador to Romania. Of course, nobody mentioned that Kiseleff Park is named after a Russian general who fought to defend Romania rather than attack it. The grandiose speeches given at the unveiling of both American war monuments made reference only to the bombings of Ploiesti even though they were a complete and total military failure. What neither the grandees in attendance at the unveiling of the monuments or the text written thereon mention was the intense American bombing campaign of Bucharest. Beginning in the early afternoon of April 4, 1944, approximately 200 American “Liberators” appeared over the skies of Bucharest, causing people to scatter in panic. By the time night fell on the capital, thousands of people had been killed, wounded, or left homeless. 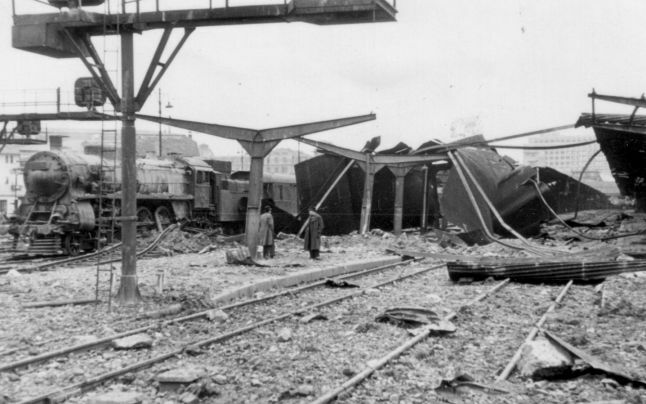 The primary target for the Americans was Gara de Nord, then as now the biggest train station in the country. But there were other targets as well, including factories, government buildings, secondary train stations, and petroleum deposits. Over 3,000 bombs were dropped in the course of 16 separate attacks, the majority of which were incendiary, designed to cause widespread destruction by fire. One of the buildings destroyed by the American bombardment was the Athenee Palace, now rebuilt and owned by the American luxury brand Hilton Hotels. 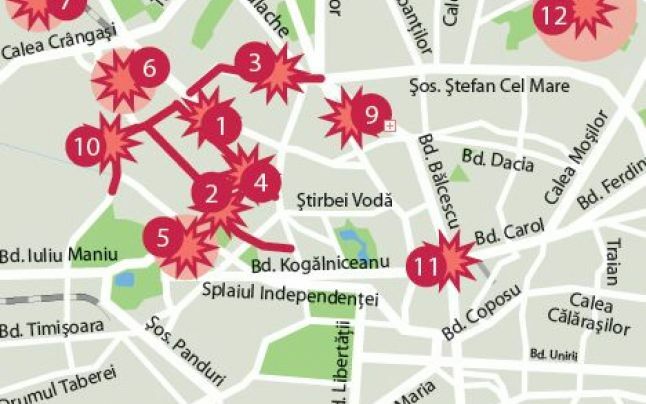 Other bombs landed throughout downtown Bucharest, including heavily populated areas. By the time the dust cleared and the flames were extinguished, 5,524 people had been killed, 3,373 were injured, and 47,974 left homeless according to official statistics. 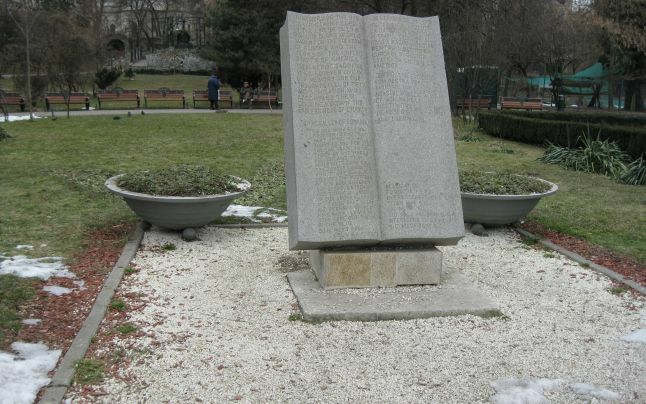 Neither the monument in Kiseleff Park nor in Cismigiu Park makes any mention of the Romanian civilians who lost their lives in those bombing raids. Today, of course, Romania remains a pliant and obedient ally of the United States, willing to overlook every insult, including honoring American pilots with two monuments in the same city they helped destroy. As an American that loves Bucharest, and Romania, I’m sorry for the actions of my country. Bravo Mac you’re right, this moron looks like writes for Russians. Hey Sammy boy can you imagine the world today without America? George, I am pretty sure Sam is not a moron. You cannot live the life he leads successfully AND be a moron. Sam is bit beyond clever in my book. I have not read all of Sam’s blog work, but what I have read there is sometimes a focus on corruption. Sam has written about individuals in this regard as well as governmental systems, and bureaucracies. More recently, it seems, Sam is spending more time maligning the USA while giving the Russians a pass. The USA isn’t perfect by a long shot. The evils our government (USA) does are evident, such as torture. In contrast, I am wondering how many journalist have been killed in the USA because they ask embarrassing questions? I wonder when a political opponent was murder by their competition? I think the flaws plaguing the USA are over shadowed by what is observed in Russia. Here in the USA there are left wing news outlets, right wing news outlets, and news outlets. You can see their bias by the way they write. Fox News is a bit right, Huffington Post is a bit left. You can tell by the stories they cover and how they write about the story. Then we have Sam. I really like what Sam wrote about concerning Romania and Romanian culture. Since my intern friend returned back to Romania some 5+ years ago, Sam was my primary source for things Romania. Today that is not the case. I have several Romanian friends here in the USA, many on FB, and a few pen pals. So, knowing what I know, when I see writing of this nature, were one thing is maligned and the opposing thing is given a pass, I wonder who the person is writing for? That ended badly, and I am not going to edit. What “long term damages” has Russia caused Romania, exactly? Seems to me that greater potential for long-term damage lies in Romania’s participation in NATO’s eastward expansion – a policy that by design is a deliberate provocation of Russia. See Deveselu and Mihail Kogălniceanu. Not to mention diversion of Romanian public funds to more military spending and IMF debt financing. Things change. Who, again, is doing the damage?